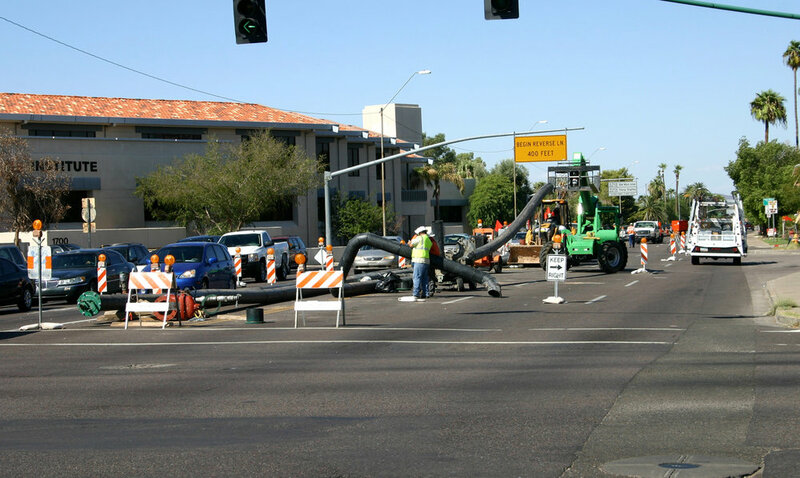 Delivered in two separate GMPs, this project involved the rehabilitation of four City of Phoenix Sewer Segments as follows: C1: 2,112 LF of 24-inch unlined concrete sewer located along 7th Ave. between McDowell Rd. and Encanto Blvd. ; C2: 6,752 LF of 36-inch located along 22nd Ave. between Yuma St. and Van Buren St.; C3: 2,613 LF of 30-inch, 2,662 LF of 33-inch, 2,888 LF of 36-inch and 2,491 LF of 39-inch located along Osborn Rd. between 15th Ave. and 12th St.; C4 South: 2,695 LF of 36-inch and 65 LF of 54-inch located along 23rd Ave. between Durango St. and Buckeye Rd. ; C4 North: 732 LF of 27-inch located along Spruce St. between 19th Ave. and Grand Ave.